Includes: 1 oz liquid dropper bottle of a Otherworldly Booster for your Bio-Chemistry, especially Hair, Skin & Nails!!!!! #1 Zinc supplements lower copper levels. If you’ve been consuming zinc supplements for a long time then you might be copper deficient, and vice versa. Ask your doctor about the zinc to copper ratio, but it’s about ten to one. #2 Elevated copper can cause neurological problems, possibly schizophrenia, phobias and panic attacks however the research isn’t clear. This is a good time to teach you that some of you make large amounts of “pyrroles.” In excess, pyrroles irreversibly latch onto zinc and vitamin B6 and take it out of the body via urine. Once zinc is depleted, copper levels rise. So is it the copper that causes the problem, or the high pyrroles? If you love someone with a mental illness, you can have their pyrroles measured with a simple urine test. 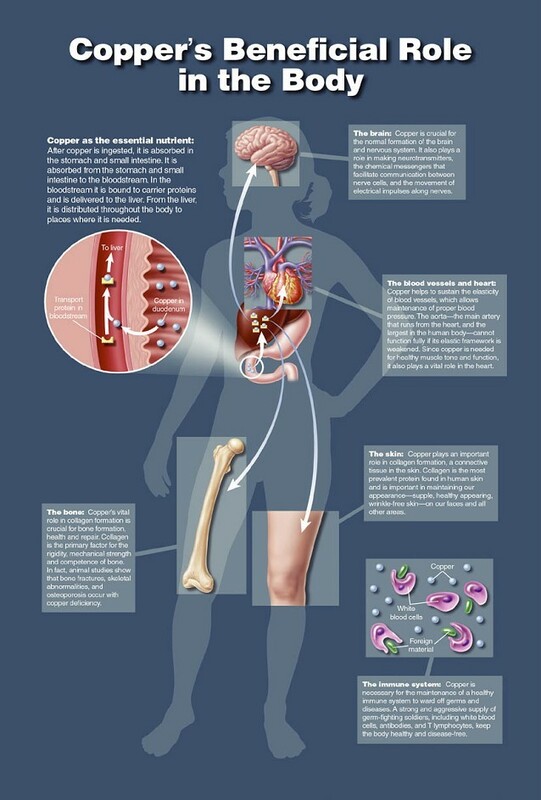 #3 Copper is part of a transport system in your body that protects the inner lining of your blood vessels. Deficiencies will make your vessels lose elasticity and rupture easily. #4 Copper is needed to make melanin so deficiencies are often seen in people with premature grey hair. If you’ve suddenly experienced grey hair and it’s not due to the natural aging process, it may be low copper. Supplementation with copper may be necessary BUT ONLY if you are tested first, and ONLY if you are deficient. Remember, to test properly, you want an RBC copper level, not a serum level. #5 Cardiac arrhythmias can result from low copper status. 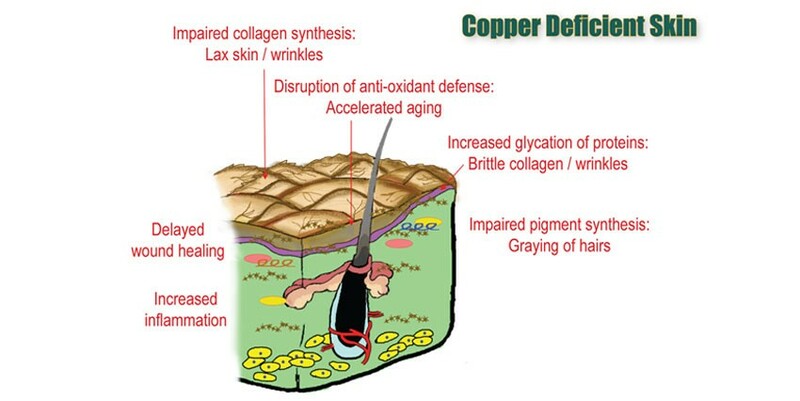 #6 Copper helps you make elastin and collagen and these are components of bone and connective tissues. Copper may be useful for osteoporosis. #8 Copper can help you manage cholesterol. Deficiencies of copper are known to contribute to high cholesterol. Unfortunately, many people are given cholesterol-reducing medications instead of copper supplements. You have to find the underlying cause, not just drug everything. It’s a simple blood test. Feel free to leave me a comment below if you enjoyed this article. Many of you are asking me what it means if you’re copper is high in your serum, and deficient in your cells (like… your RBC copper is low). Now, one more thing to answer some of your questions below in the thread. If your transport proteins are low, the copper will build up in the brain, liver and reproductive organs. You don’t want to randomly supplement. You want to evaluate levels of these biomarkers, and look at clinical picture. Remember what I said above, high copper is seen in many women with reproductive cancers. Copper toxicity is something to look out for, so don’t go randomly supplementing just because you think you are deficient. Test, it’s not that hard, then you know for sure. The enzyme SOD is involved too, superoxide dismutase, but that is a whole other article.